Just look at all the equipment you find in a modern bodybuilding gym. Machines, cables, and free weights setups designed to target every muscle from every possible angle. But is that claustrophobic, futuristic jumble really necessary for building muscle and strength? Sure. The gym is the ultimate tool for building the modern bodybuilding physique, with rounded shoulders, peaked biceps, and freaky calves. But it’s only been around for a few decades. Guys have been stacked for a lot longer! The warriors of ancient civilizations, the wrestlers and strongmen of centuries past; all these men were insanely strong… and they didn’t get there with a Smith machine! The famous Ancient Greek wrestler, Milo of Croton, born over 2,500 years ago, may just have been the pioneer of progressive overload. The story goes when Milo was an adolescent he hoisted a newborn calf onto his shoulders and proceeded to carry it across a local stadium. He continued this task daily for the next four years until both he and the animal were fully grown. Milo went on to become six-time Olympic champion, among countless other wrestling accolades. Now, whether this story is absolutely true or not, the moral here is to use your imagination and mix up your training. There are opportunities all around you. 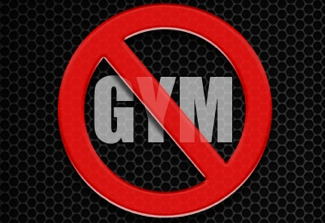 Maybe the idea of stepping out of the gym for a while is a scary one for you? Or maybe you’re sick of staring at those walls, hearing terrible music, and you’re ready to embrace this idea? The truth is while simply lifting weights in the gym undoubtedly makes you strong when performing those movements, most weight trainers are very one dimensional in their assets. They lack dynamic strength and power transfer. This leads to an imbalanced musculature, and weak areas, where the muscles do not tie together as effectively as they should. Using other forms of strength training to improve core stability, flexibility, mobility, and balance, works wonders for improving your physique, as well as adding major poundage to your big lifts, like squats and deadlifts. Many see bodyweight exercises as the ultimate tests of strength. They pit you against your own bulk and establish your strength to weight ratio. Why not venture outside into the fresh air and put together an intense circuit, combining all the old favorites into an intense, all body workout? There are no secrets. Just a list of great exercises you can do virtually anywhere, with a little added imagination. If these all sound too easy, mix it up and add more resistance. Do one-legged squats, lunges with a partner on your shoulders, add kettlebells, weighted backpacks, and medicine balls. Use your imagination! Add Sheer Strength Labs Sheer Thermo Thermogenic Fat Burner to your supplement regime and watch as this potent mix of scientifically proven ingredients strip off excess pounds. OK, so technically rope climbing is a bodyweight exercise, but it is such a great way to build all body strength, it deserves a special mention here. All you need is a good length of climbing rope. Something like 2-inch manila rope works fine and is easy to obtain. If you splice a loop in one end of the rope, you can attach it to a sturdy branch or other suitable piece of furniture, by throwing the looped end over and passing the free end through it. There are some different techniques you can use to climb a rope, most involving both legs and arms. Or if you’re feeling especially strong, you can have a go at climbing without your legs, for a huge arm pump. 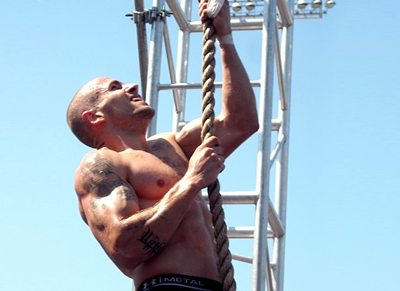 Coil up your rope, throw it in your backpack with some water, jog to the park for some bodyweight exercises, and finish with a few rope climbs. Simple! Yoga and Pilates are exercise modes are often sniffed at by bodybuilders and strength trainers. But they are both excellent ways to add core strength and stability, as well as flexibility and balance. They can also be particularly relaxing, especially yoga, and a relaxed body is a healthy body that recovers and rebuilds far more efficiently. A combination of both yoga and Pilates is the best option for core strength. When performed correctly, the movements create a strong balance throughout the entire body. Having flexibility and balance, as well as all-round core strength, adds serious numbers to your big lifts by improving technique and power transfer. Throwing a heavy pack on your back and hitting the hills is an excellent way to strengthen your legs. You have to keep your body guessing for it to continue to progress. While hour after hour of squatting gives you a strong squat, it doesn’t give you endurance. What’s the use of having huge, strong legs if you can’t walk up a hill without stiffening up? Mixing up your rep ranges is the best way to keep your muscles on their toes, year in and year out. 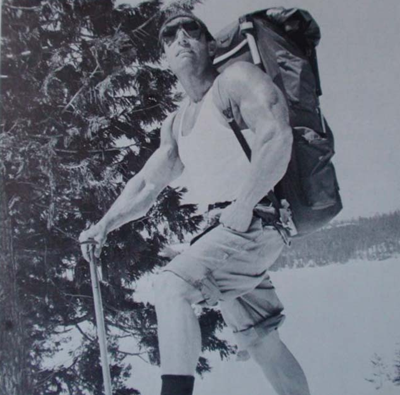 Hiking is the ultimate high rep exercise. It also improves your cardiovascular fitness, blood flow to the muscles, and pushes back your lactate threshold. All of these factors combine to help you train harder in the gym before tiring. Getting out into nature is great for mental relaxation. If you get out, soak up some fresh air, and release some tension, your stress hormone levels lower, releasing their stranglehold on your growth. Adding Sheer Strength Labs Sheer Total Multivitamin to your daily supplement stack helps keep your body primed with all of the essential vitamins and minerals it needs for optimum growth and recovery. Packed with real vitamins, from real food sources, Sheer Total is engineered specifically for those who train hard. Have you got any tough, physical jobs that you’ve been procrastinating? Got a tree that needs felling? A driveway that needs re-paving? A roof that needs fixing? Professional physical laborers are strong, tough people. Most of them don’t get a chance to go to the gym because they’re so beat after a long day using heavy-duty hand tools. Physical labor, like digging, carrying, chopping, and hammering, is tough work that builds all-round strength, as well as cardiovascular endurance. You must have noticed lately how these organic movements find their way into strength training? Sledgehammer training for improved all body power, woodchopping for oblique power and strength, the list goes on. Why not kill two birds with one stone and develop strength and power while ticking a job off your to-do list? Martial arts has been used for many centuries to strengthen the body and mind. They teach balance, concentration, control, and mindfulness. This mindfulness is a potent tool in the development of the mind-muscle connection, a vital skill pushing your training to a new level and helping you target individual muscle groups more effectively. Some of the stances and movements can be difficult at first, especially to the bodybuilder. Weight training leaves the muscles very one dimensional, whereas martial arts require a totally different, and more balanced musculature. The muscles of the legs, hips, and core are strengthened in a very different way to conventional resistance training. Many bodybuilders report seeing a change in the shape of their leg muscles following regular martial arts training. Martial arts also develops power and balance, as well as providing a great relaxation tool when taught correctly. Don’t be afraid to mix up your training, and don’t be fooled into thinking you must pump iron to improve your functional strength and muscular conditioning. It’s good to take a break every now and then, especially when the weather is fine. Get out into nature and create your own gym. Whatever form of training you decide, you need a top quality post-workout supplement to help your body prepare for your next session. Sheer Strength Labs Sheer Recovery contains all the ingredients you need to kickstart recovery and stimulate growth. Sheer Recovery contains scientifically proven ingredients, such as creatine and leucine. Sheer Recovery should be a part of every serious trainer’s post-workout nutrition. The post Add Muscle and Strength WITHOUT Hitting the Gym appeared first on .